The US economy is still among all the strongest with promising purchasing managers' indicators and sharply increased leading index. However, the escalated trade conflicts or ongoing tariff war between the US and China could still be the biggest uncertainty hindering the world economy. Worried about the potential impacts caused by said uncertainty, all three composite indicators issued by the Taiwan Institute of Economic Research (TIER) signal slowing growth in the near future. The strategic research agenda, referred as SRA, is a consensus for the European Commission to bring together stakeholders from a wide range of sectors and to focus on high-priority research and development issues. 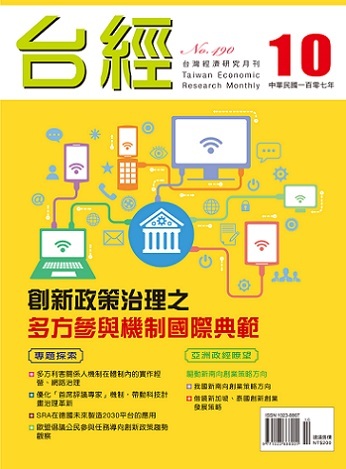 This article aims to help readers understand the life cycle and development of the European technology platform and to analyse the application of SRA’s future manufacturing 2030 platform in Germany as a reference for Taiwan’s current industrial innovation policies.